Are you looking to deepen your relationship with current audiences? Do you want to engage with new audiences? A new tool from the Land Trust Alliance can help you. Working with a host of dedicated land trusts and thanks in part to LOR Foundation funding, the Alliance developed the Stakeholder Analysis Tool to help land trusts better understand themselves and their place in the community, and identify new ways to use their mission of land conservation to make their community a better place to live, work and play. It's available here as a free download. You can use this tool as an opportunity to reach out to key people whose support you want and need. Thinking about and discussing as a team the community challenges, issues and questions that come up throughout the process may help you, your staff and board, and partners, gain a deeper understanding of each other and each other's organizations. Seeking out, listening to and incorporating a wider diversity of people and ideas inherently makes your projects and programming stronger. 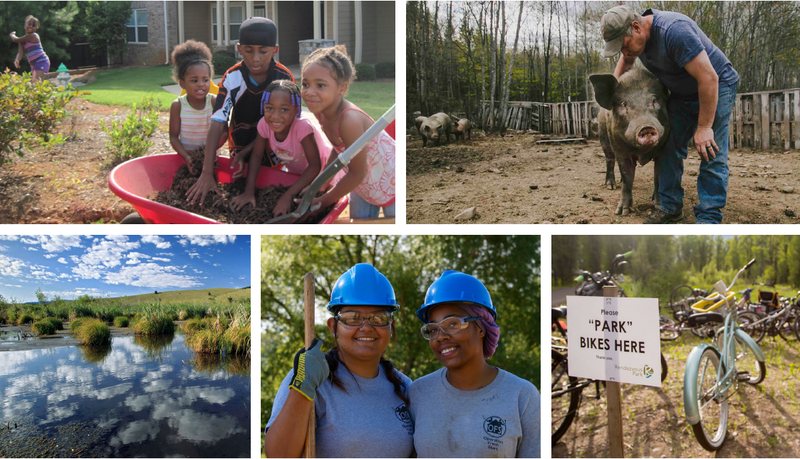 There are three steps to deepening your land trust's community conservation work — and they can be performed in any order, depending on circumstances: know yourself, know your community and take action. No matter which step you decide to begin with, the Stakeholder Analysis Tool will help you prepare for it. Regardless of whether your land trust is new to community conservation or has been practicing it for years, this tool will benefit your organization. Use it to reach out to others to discuss the challenges facing your community, identify which of these challenges could potentially be addressed with your mission of land conservation (given your resources and capacity) and recognize which stakeholders are best suited or positioned to partner with you to help address the challenges. Using the Stakeholder Analysis Tool, you will be able to identify opportunities — to have more impact, attract more support, gather new ideas and more — that will make your land trust's work and programs better and more sustainable. This tool can help you understand where to start — or in which direction you should expand — your community conservation work. If you're curious about learning more, send me an email.